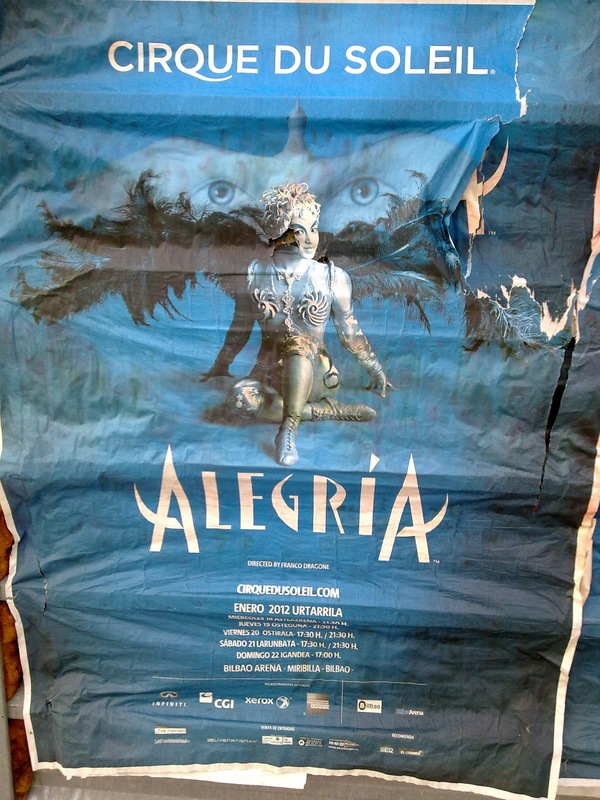 In their tournee around Europe and comming directly from Granada in the South os Spain, Cirque du Soleil is arriving to Bilbao with the show "Alegria". Cirque du Soleil is a company very well know in Bilbao where they have performed several times. 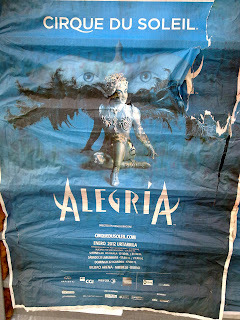 Alegria 'A baroque ode to the energy, grace and power of youth' is a show with less ilumination than other performances from Cirque du Soleil and with gothic and angular designs where acrobatics pay a main role. This time the show will be offered to the public in a different area, in "Palacio Municipal de los Deportes" of Bilbao from Wednesday 18th January until Sunday 22nd January at various times. Go and get one as soon as possible as they run out fast! Cirque du Soleil after Bilbao will head to Toulouse, Nantes, Lyon, Toulon, Nice, Montpellier and Strasbourg in France, afterwards to Brussels in Belgium and then heading to UK and Ireland visiting Manchester, Glasgow, Birmingham and Dublin. In May they will reach Budapest in Hungary, Prague in Czech Republic and afterwards to Germany where they will stop in Hamburg, Hanover and Nuremberg to finish their European tour in Vienna, Austria in June and end with Tel Aviv in Israel in August.